Last Friday evening, Cologne-Bonn Airport chief Michael Garvens was temporarily suspended on suspicion of embezzlement. 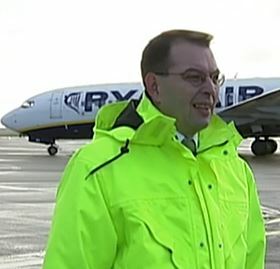 Simultaneously, Bremen Airport sacked their managing director Juergen Bula. In the case of Garvens, the allegations indicated by the Supervisory Board must have come as a thunderbolt to the staff and clients of CGN. Critics speak of an orchestrated intrigue of political opponents and others who envy him thereby making the manager, who came into office in 2004, an innocent victim. With his release from all managerial duties at Cologne-Bonn Airport until further notice, the German Airports Association (ADV) loses their chairman. A task, Garvens is performing in addition to his Cologne mission since the beginning of this year. Meanwhile, complex investigations to clarify the allegations of the CGN management’s assumed wrongdoing have begun. The accusations are grave. Michael Garvens and a number of other leading airport figures are suspected of fraud and embezzlement. The charges are raised in connection with assumed payments amounting to more than one million euros rendered by the airport to a local freight forwarding company without any return service. If proven, this act would fulfill the facts of infidelity. However, this allegation alone is hard to follow as how possibly could such payments be effected and nobody were to realize that services were not rendered? In addition, Garvens and his colleagues are charged of having released a leading employee ten years ago and a second four years ago with CGN paying them their full wages ever since. Also strange! These are the suspicions that popped up last Friday evening, although none of them is evidenced by hard facts or documents presented by the controllers up to this point. All they said is that a letter written by Garvens and addressed to them did not wipe off the initial suspicions. In his note sent to the controllers, he rejects all allegations calling them insubstantial and unfounded. Meanwhile both an external law firm and an accounting firm were entrusted with further investigations, putting the airport’s entire transactions under their magnifying glasses. The outcome after proper examination of the allegations shall be presented to the CGN Supervisors on 15 December when their next scheduled board meeting takes place. Until then, CEO Garvens remains suspended from all tasks. Sources indicated that a whistleblower from within the airport company informed the Supervisory Board of supposed financial irregularities for which he made the executive management responsible. Political rivalry may well play a key role in Cologne’s washing some dirty laundry. As background, it is interesting to know that most of CGN’s controllers are members or supporters of the Social Democratic Party (SPD) that just lost power in Germany’s most populated state North Rhine-Westphalia, with the opposing Christian Democrats (CDU) taking over. Garvens is member of the CDU, the Supervisory Board Chief Kurt Bodewig belongs to the SPD. Due to the recent change of government, CDU candidate Friedrich Merz will shortly replace Bodewig. Therefore, local observers strongly assume that Garvens fell victim to political games played by the rivaling parties behind his back. Furthermore, insiders claim that his resistance against constant demands by leftists, environmentalists and leading Green Party members to further restrict night flights at CGN must be seen as main background of the present affair. At CGN, nobody was available for comment. Cologne-Bonn is one of Germany’s major gateways, expecting roughly 800,000 tons of air freight this year and 12 million-plus passengers. Simultaneously to Garvens’ suspension from his Cologne duties, Bremen Airport has sacked their managing director Juergen Bula. The reasons delivered by the control panel are sparse. Their chairman, Ekkehart Siering indicated that there were serious disruptions between Bula and the majority of the airport staff. He also accused the manager of misconduct in collective bargaining. Over the weekend, a recruiter was commissioned to find a suitable candidate for Bula’s succession. What’s going wrong at German airports? While other nations support their aviation sector vigorously or build new hubs at a breathtaking pace, like China for instance, in Germany everything boils down to the question: how can the operating permits at airports be further restricted. A topic that’s constantly tabled by local politicians and aviation naysayers in Frankfurt, Hamburg, Dusseldorf or Cologne. Aircraft are main air polluters, way too noisy, harassing large parts of the population, these are arguments repeatedly heard, parroted by many media and tabled permanently by aviation opponents at public discussions. In their furor against aviation, the critics suppress constantly the fact that airports, at least the larger ones, offer many jobs, guarantee their staff constant income, enable connectivity and are part of a growing economic sector. For a leading export nation, which Germany is, a well-functioning aviation sector is paramount and a key tool to maintain a high degree of international competitiveness. 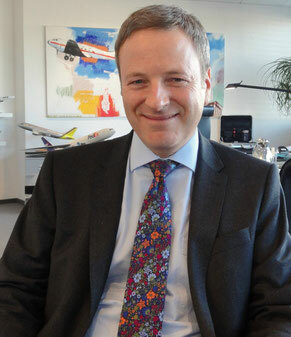 An alike belief has always been Michael Garvens’ motif of action since he became CEO of Cologne-Bonn Airport back in 2004. Under his tenure, UPS, FedEx and – to a lesser degree – DHL Express grew their business there exponentially. A large cargo center was built, to improve the storage and throughput of general cargo together with special products. It was the far-sighted vision of Garvens to attract low cost carriers at a very early stage to foster traveling. To enable the fast flow of passengers and reduce the carriers’ operational costs, he converted parts of Cologne’s passenger terminals to the budget airlines’ needs, making CGN their home, including Lufthansa daughter Eurowings. In summary, it can be said that Garvens and his CGN management team have made a very valuable contribution through the years to the country’s aviation sector in the fields of both cargo and passengers. As a neutral observer, one can only hope that the allegations raised against him prove to be insubstantial once the investigators present the results of their review.